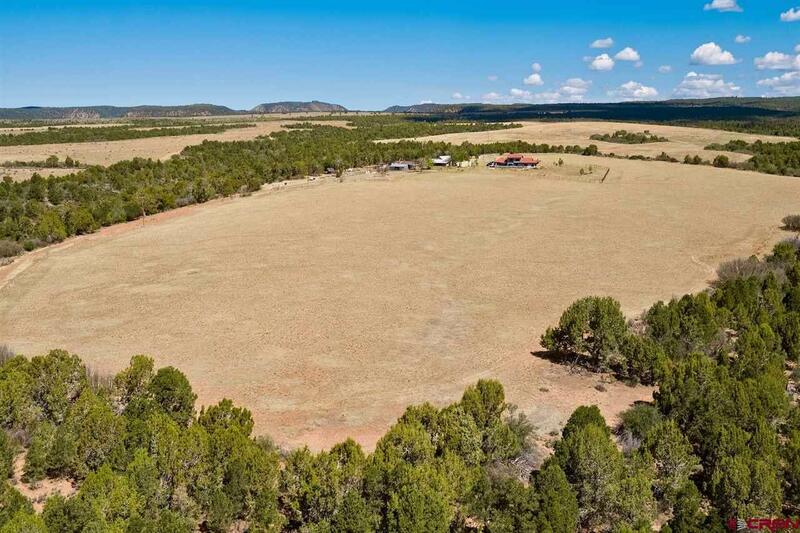 At Last Ranch is poised on expansive rolling mesas and surrounded by pinon pine, sage, and large cedar trees with panoramic views, including the snowcapped La Plata Mountains. 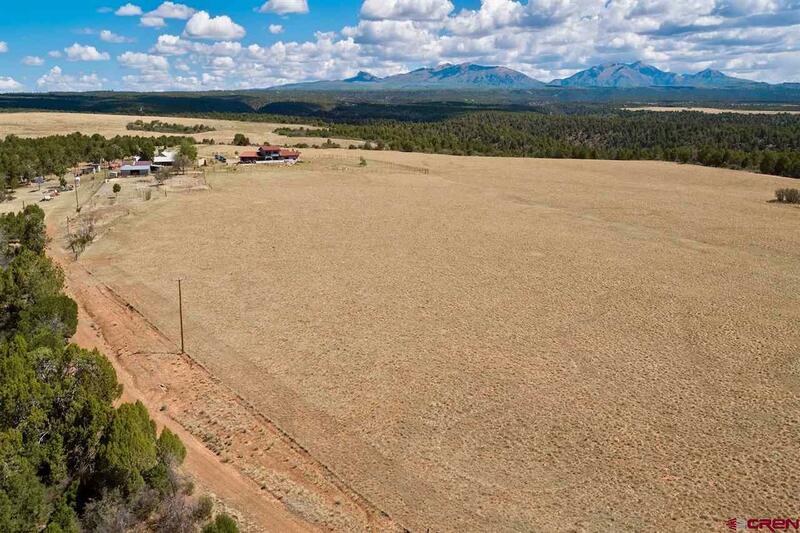 This spectacular 112+-acre parcel truly embraces this masterfully built, 2,955 SF Bruce Wigton southwest Colorado home. 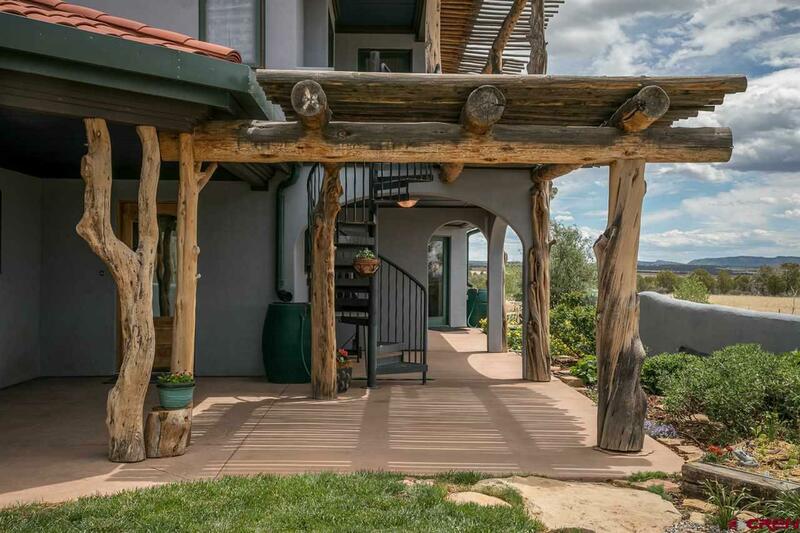 Plentiful custom windows are strategically placed throughout the home allowing for massive mountain and meadow views that serve to illuminate the charm of this wonderful home. Throughout the home, you will find fine attention to detail and architectural interests featuring 3 bedrooms, 3.5 baths, a sleeping loft, office and a "Hogan Room with fireplace and "Latilla" ceilings. The kitchen is open with a large center island, butcher block counters, stainless steel appliances and maple front cabinets. Additional features include, 5 zone in floor heating, pinon beams, aspen tongue and groove paneling, and cedar planked walk-in closets. Flooring throughout the home includes tile, stamped cement, and wood oak. Self-sufficient wind turbine, solar voltaic panels on track system, and propane systems back up this home's utility system, creating a beneficial electrical credit. There is also an engineered grey water irrigation system in place. 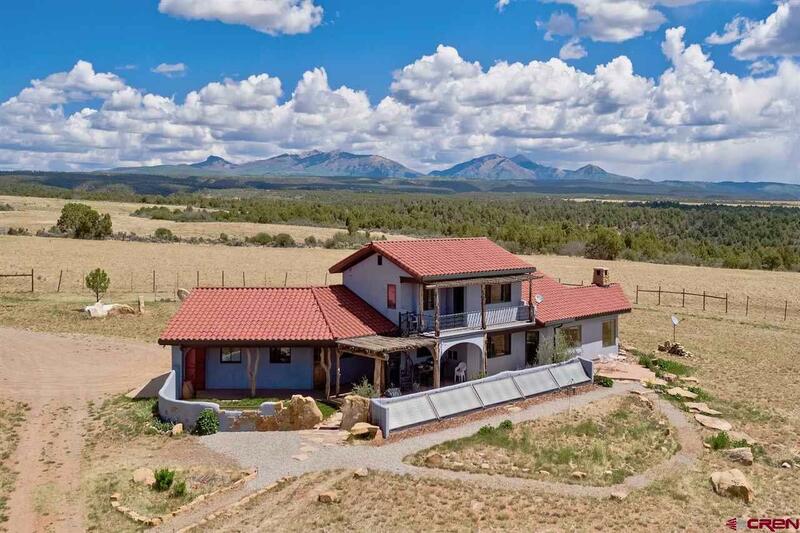 Beautiful landscaping surrounds the house, including a cement patio, and upper deck situated to capture the stunning views and maximize outdoor living under the expansive Colorado skies much of the year. The original farmhouse house is 1,869 SF with 3 Bedrooms, 1 bath, a large open kitchen and shaded porch. Great for a rental, guest or part of the family compound. This home and grounds are meticulously maintained and offer a soothing harmonious retreat for quiet and private country living.